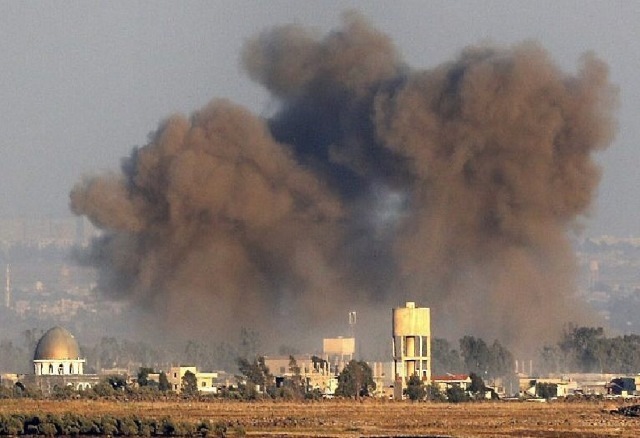 Israeli forces shelled the Syrian city of Quneitra, Syrian state media reported Monday night. Quneitra lies just across the border on the Golan Heights, in the demilitarized zone between the countries. The Israeli military did not immediately respond to the report. According to SANA, the shelling caused material damage but no casualties. A report last week indicated that advanced Russian S-300 air defense batteries had been set up in Syria to stop Israeli attacks.